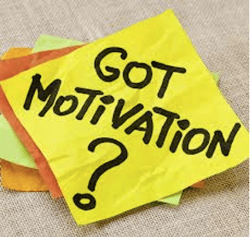 Sometimes it’s necessary to add a little extra incentive to keep your sales people motivated. Sales incentives can either provide a boost to employee morale or cause destructive infighting. Knowing what to do to energize employees, specifically your sales staff, is the first place to begin. WhizBang Training suggested this one. Decide ahead what dollar amount you will award. Let’s say you choose $20. Give the first person to make a sale that day a $20 bill. The winner gives the $20 bill to the next salesperson who makes a larger sale. The bill gets passed around the entire day and finally stays with the person who had the highest sales total for the day. You can use any denomination you feel would be the biggest motivator. WhizBang also suggested placing a small tree in your stock room. Decorate it with lights and “ornaments” for a specific sales period. Draw a number on the back of each ornament. Put together a variety of incentives such as gift cards, coupons for time off or an extra percentage off merchandise. Be sure to have varying values. Include one expensive gift that everyone would want to win. Make two lists of the gifts. The first list is posted for your employees and the second list is kept hidden with their corresponding number to something on the tree. Create goals such as achieving a certain number of add-ons, selling a particular “item of the day” or being top seller for the week. Include other goals such as not missing a day of work for an entire month. Or, doing a job that isn’t your normal duty. Offer ways to include your entire staff. When an employee reaches a goal, he or she gets to choose an ornament. Seeing that tree day after day will help energize them to do more. 1.) Incentives don’t have to be expensive to be effective. Often the sillier the prize, the more jovial the competition becomes. Perhaps the winning employee gets to choose the music played in your shop for a designated time or design a World Wrestling Federation (WWF) winner’s belt that the employee wears throughout the day. 2.) Hang a poster in the stock room and name the contest after the previous week’s winner. For example, this week’s contest is called “The try-to-beat-Jane-Smith Contest”. Make sure you have a large, cheesy picture of Jane to place on the poster. 3.) Luxury prizes of cash, time off, a longer lunch hour, gift cards, a bouquet of flowers delivered to your shop (shoppers always ask what the occasion is for the flowers), a favorite dessert delivered, chocolates, a massage or a special discount on merchandise are always appreciated. Sometimes it’s better to motivate your staff as a whole, setting up goals that can be reached by the team rather than individuals. If your sales team as a whole reaches a particular quarterly, monthly or weekly sales goal provide a prize. Offer a team pizza party, bring milk and cookies in to work or send the team to a movie or fun event. As you can see by the following chart, sometimes money or prizes isn’t the biggest motivator. Often, it’s the recognition a person receives from their peers or the owner that motivates a person to work harder. Consider a personal handwritten note thanking them for their hard work. Find what works best with your staff, but make sure, however you achieve it, they know they are valued and appreciated.